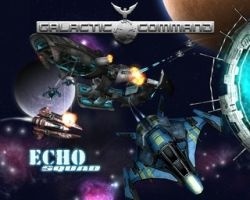 Online game provider GameTap has canceled its deal with Derek Smart to publish his latest project, the space combat sim Galactic Command: Echo Squad. Gamasutra reported the decision as part of an interview with GameTap Vice President of Content Ricardo Sanchez. Sanchez praised the game, but said that GameTap ultimately decided its audience wouldn't respond very strongly to a Derek Smart game. "It was a good game, it was very solid, but as we were going through, it ended up not being the right title for our audience," he said. "It was a tough call. I think it's one of the strongest games ever made. We put a lot of effort into it... I honestly think it's one of Derek's strongest games." "We could put a lot of promos behind it, but it wouldn't resonate too strongly with our audience," he added. "We thought it would succeed better with Derek's core base." Sanchez said Smart still plans to release the game, possibly over Xbox Live. Along with Galactic Command, the always-interesting Smart is also responsible for the Battlecruiser and Universal Combat series of games. Forum users worldwide have braced for his response.